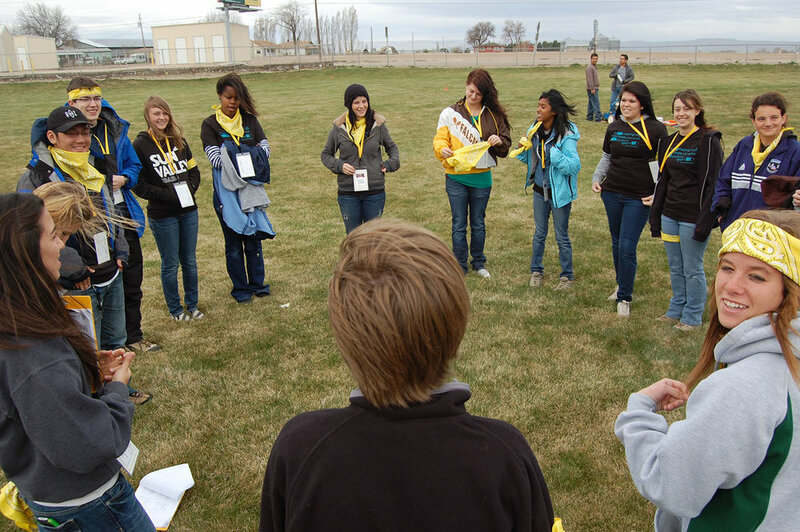 How might we change negative perceptions of teens in the small town of Wilder, Idaho through service to the community? The town of Wilder, Idaho (population 1,533) is a small farming community in Idaho with 37% of those 18 and under living below the poverty line. When we first connected with the City leadership, the community was facing many challenges associated with the high rate of poverty. One of them was petty crime, which had led to a number of correctional system teams doing court ordered community service. So while the City was in need of unpaid labor, their experience had not only been positive. 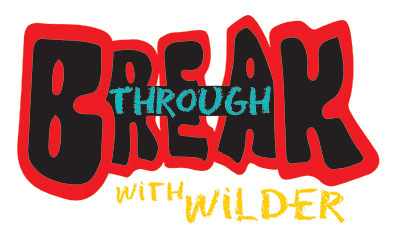 A team of One Stone students set out to change that with Break Through Wilder in 2010.  Through empathy work in the community, the students earned the trust of City leadership. 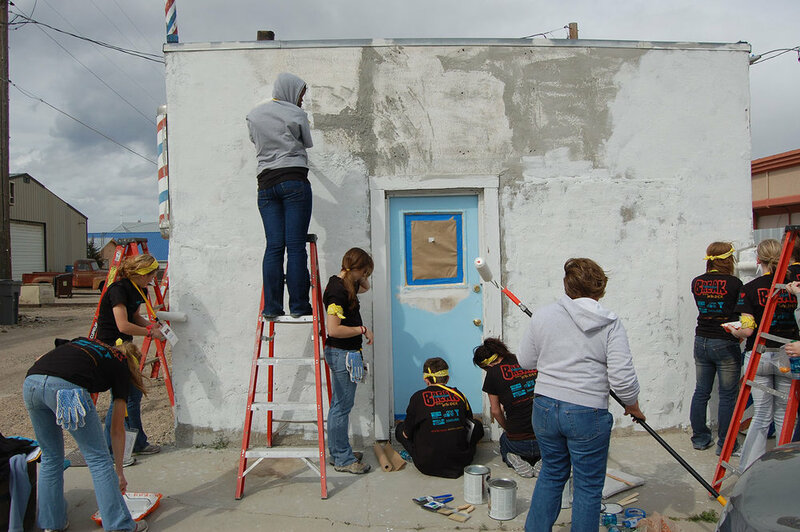 Through this, we were able to learn what the community needs really were, and came to understand it wasn’t just the physical improvement projects; the people of Wilder needed to see teens behaving in a responsible, hardworking, contributing way. The One Stone team assured them that this was a particular talent of theirs, and community transformation was born. 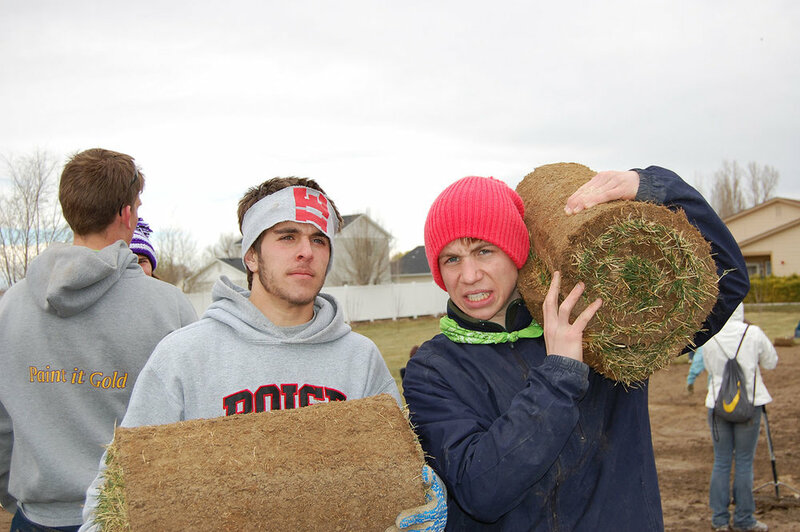 For two days, 130 high school students from 13 different schools joined together for a blitz of hard work that produced a massive wave of improvement and appreciation for what teens could do. 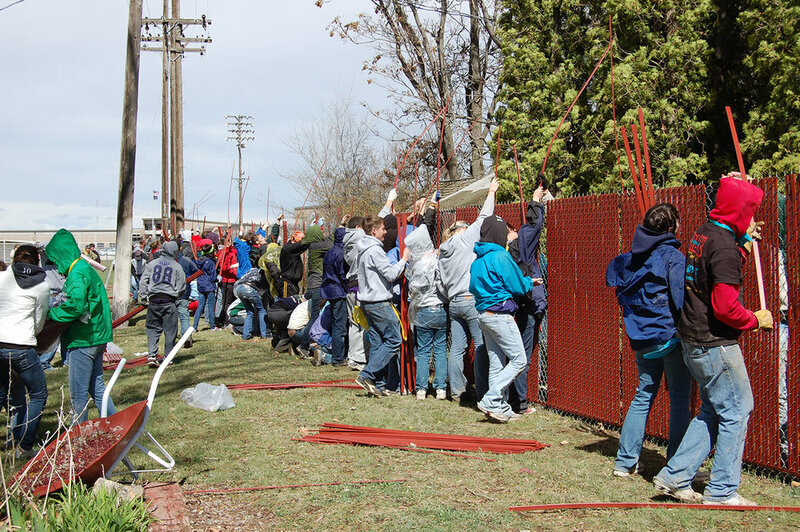 Projects included the creation of two city parks, improvements to the soccer field, painting of downtown businesses, landscaping a senior center, installing a fence in a city park and staging a food drive that stocked the shelves of the local food pantry. The students also immersed themselves in learning about the town’s agricultural economy and history by touring potato farms and irrigation facilities. The town was transformed. The Mayor addressed the students at the closing of the event with heartfelt appreciation for all of their work, but more so, for changing attitudes in the community about what young people are capable of. In honor of this, they named one of the newly created parks “One Stone Park” as a lasting tribute to the phenomenal impact of Break Through Wilder.